Rob Halligan is on a mission that's out of this world. The MissionRob Halligan is on a mission that's out of this world. "Help me launch Wild Horses, my brand new album, in style. With songs inspired by trips to the refugee camps in Lebanon and a drop-in centre in Coventry, Wild Horses is all about spreading some light in a dark world. " Seen a gig you'd like to come to, let us know and we'll put you and a friend on the guest list. You'll be able to pick the songs you think should be on the next album and be credited as Executive Producer on the sleeve notes for doing so! As a big thanks for your support I'll send you a thank you gift. As a thanks for your support I'd like to send you a hoodie! Let me know your size and we'll get it out to you. Make sure you wear it to a gig! To thankyou for your ongoing support , once a quarter I'll send you a surprise gift. It could be a CD, DVD or book that I think you might like. Once a year I'll come by your house and play a concert for you and your friends. If you think your house is too small then we'll find a venue near you. Address Line 1 Address Line 2 Town/City Postcode Country AfghanistanAlbaniaAlgeriaAmerican SamoaAndorraAngolaAnguillaAntarcticaAntigua and/or BarbudaArgentinaArmeniaArubaAustraliaAustriaAzerbaijanBahamasBahrainBangladeshBarbadosBelarusBelgiumBelizeBeninBermudaBhutanBoliviaBosnia and HerzegovinaBotswanaBouvet IslandBrazilBritish lndian Ocean TerritoryBrunei DarussalamBulgariaBurkina FasoBurundiCambodiaCameroonCanadaCape VerdeCayman IslandsCentral African RepublicChadChileChinaChristmas IslandCocos (Keeling) IslandsColombiaComorosCongoCook IslandsCosta RicaCroatiaCubaCyprusCzech RepublicDenmarkDjiboutiDominicaDominican RepublicEast TimorEcuadorEgyptEl SalvadorEquatorial GuineaEritreaEstoniaEthiopiaFalkland Islands (Malvinas)Faroe IslandsFijiFinlandFranceFrance, MetropolitanFrench GuianaFrench PolynesiaFrench Southern TerritoriesGabonGambiaGeorgiaGermanyGhanaGibraltarGreeceGreenlandGrenadaGuadeloupeGuamGuatemalaGuineaGuinea-BissauGuyanaHaitiHeard and Mc Donald IslandsHondurasHong KongHungaryIcelandIndiaIndonesiaIran (Islamic Republic of)IraqIrelandIsraelItalyIvory CoastJamaicaJapanJordanKazakhstanKenyaKiribatiKorea, Democratic People's Republic ofKorea, Republic ofKosovoKuwaitKyrgyzstanLao People's Democratic RepublicLatviaLebanonLesothoLiberiaLibyan Arab JamahiriyaLiechtensteinLithuaniaLuxembourgMacauMacedoniaMadagascarMalawiMalaysiaMaldivesMaliMaltaMarshall IslandsMartiniqueMauritaniaMauritiusMayotteMexicoMicronesia, Federated States ofMoldova, Republic ofMonacoMongoliaMontenegroMontserratMoroccoMozambiqueMyanmarNamibiaNauruNepalNetherlandsNetherlands AntillesNew CaledoniaNew ZealandNicaraguaNigerNigeriaNiueNorfork IslandNorthern Mariana IslandsNorwayOmanPakistanPalauPanamaPapua New GuineaParaguayPeruPhilippinesPitcairnPolandPortugalPuerto RicoQatarReunionRomaniaRussian FederationRwandaSaint Kitts and NevisSaint LuciaSaint Vincent and the GrenadinesSamoaSan MarinoSao Tome and PrincipeSaudi ArabiaSenegalSerbiaSeychellesSierra LeoneSingaporeSlovakiaSloveniaSolomon IslandsSomaliaSouth AfricaSouth Georgia South Sandwich IslandsSpainSri LankaSt. HelenaSt. Pierre and MiquelonSudanSurinameSvalbarn and Jan Mayen IslandsSwazilandSwedenSwitzerlandSyrian Arab RepublicTaiwanTajikistanTanzania, United Republic ofThailandTogoTokelauTongaTrinidad and TobagoTunisiaTurkeyTurkmenistanTurks and Caicos IslandsTuvaluUgandaUkraineUnited Arab EmiratesUnited KingdomUnited States minor outlying islandsUnited States of America (USA)UruguayUzbekistanVanuatuVatican City StateVenezuelaVietnamVirgin Islands (British)Virgin Islands (U.S.)Wallis and Futuna IslandsWestern SaharaYemenYugoslaviaZaireZambiaZimbabwe Home phone Mobile number I consent to Rob Halligan sending me marketing emails. Thank you for supporting Rob Halligan! Described by the BBC as “Bruce Springsteen having English tea with Billy Bragg” Rob Halligan is an award winning recording artist and songwriter. His first studio album, Dancing With Seagulls, was released in 2004 and since then Rob has travelled the world playing songs and telling stories that explore his faith and life. He has appeared on national UK TV and radio, winning rave reviews and gaining a reputation as an exceptional live performer. 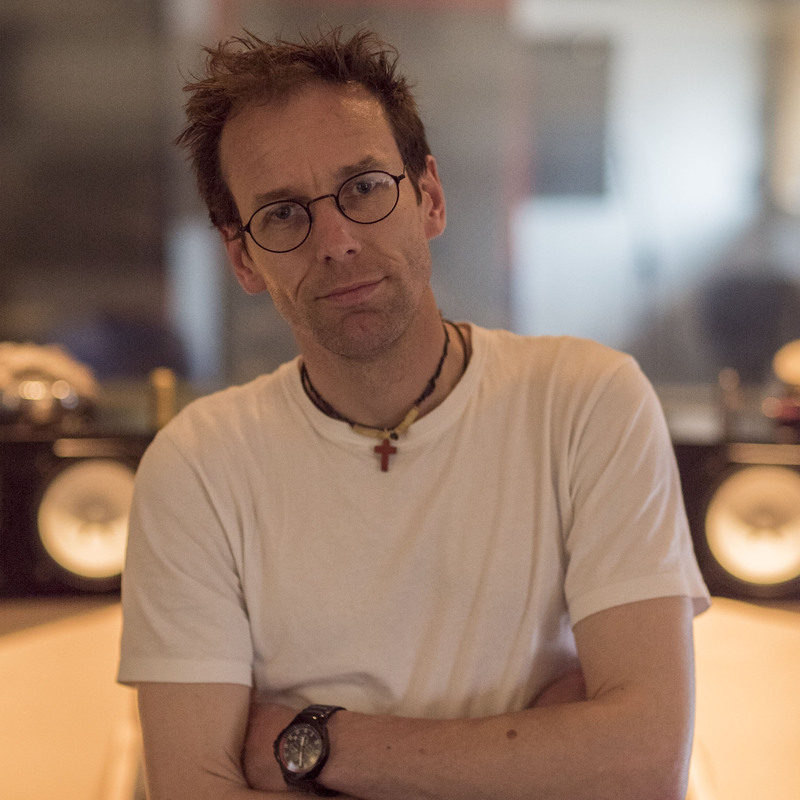 In 2008 Rob recorded “Best Thing That’s Happened” at the Foundry Music lab with the production skills of Graeme Duffin and Sandy Jones of Wet Wet Wet fame. The result was an album that was nominated “Album Of the Year” at the CBC awards in London and won Rob “Artist Of The Year” at the Birmingham Music Network.